Talk about a missed opportunity. The long awaited and over-hyped Batman vs. Superman: Dawn of Justice is everything that people should despise about big budget event movies. First of all the title is a mouthful, even the abbreviated BvsSDoJ just looks foolish. I defended Zack Snyder’s Man of Steel (2013) which was more an alien movie about a stranger adapting to his new home than a Superman film and I was able to look past Superman’s cold blooded killing of Zod to give it a favorable review. But there is no way in my right mind that I can possibly defend any of Snyder’s ugly, overblown and overstuffed Batman vs. Superman: Dawn of Justice. The opening shot of a black coffin as we see a young Bruce Wayne at his parents funeral and flashbacks over the opening credits with his parents tragic death for the millionth time. This does at least tie in to the films closing shot, but still felt very contrived and unnecessary. While this is going on, we are reading the names of the film’s hugely talented cast and sadly they are given very little to do. Ben Affleck, the biggest star of the pack is wasted and has the weakest introduction as Bruce Wayne getting off a helicopter and trying to get into Metropolis to save some employees from Wayne Enterprises that the audience does not know or care about. Also, Metropolis and Gotham City in this DC universe are only separated by a small body of water, like New York City from Bayonne, New Jersey. These opening action scenes were meant to recall the events of September 11, 2001 and that was not only inappropriate and ill-conceived but downright offensive to the victims of 9/11 and demeaning of the tragedy itself. Batman vs. Superman: Dawn of Justice is irresponsible for depicting Superman’s arrival the equivalent to those terrorist attacks. It is shameful for even drawing that comparison. Back to the film wasting it’s immensely talented cast. Affleck’s Batman is serviceable at times but because of the grim screenplay and exceptionally brooding atmosphere his Batman is a sadist. Henry Cavill’s portrayal of Superman is even darker than he was in Man of Steel. This is about as far as you can get from Christopher Reeve’s Superman without making him into a villain. Gal Gadot’s Wonder Woman is simply doing her best impersonation of Scarlett Johansson as Black Widow from the Marvel Cinematic Universe. There is no originality or interesting qualities about her. She is beautiful but boring and seems bored every time she is on screen. All of those complaints about the heroes are minuscule compared to Jesse Eisenberg’s performance as Lex Luthor. He plays the villain as if he were Mark Zuckerberg coked up and out of his mind. His energy level is on a ten or eleven in every scene and nobody told him to dial it down a few notches for dramatic impact. There are too many characters in this overblown mess and not enough time to develop them or explain some of their motivations. Batman vs. Superman: Dawn of Justice is overstuffed and loses any dramatic impact because the audience is not given enough time or reason to care about anything that happens to the characters. In fact, many of the character developments and motivations are illogical and serve no purpose other than to progress the ludicrous plot. A lot of logical questions are ignored in favor of setting up the next big excessively violent and expensive action sequence. Lex Luthor was almost displaced as the worst part of the movie by the other villain, Doomsday, who fights Superman, Batman and Wonder Women (once again this should not count as a spoiler since it was in the trailers) and looks more like a giant cement turd that was a leftover of the Orcs from The Lord of the Rings trilogy. 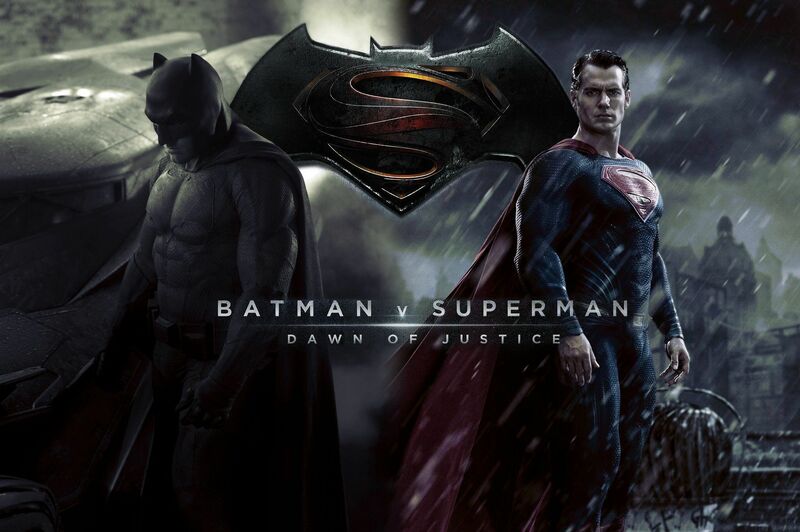 I keep referring to Batman vs. Superman: Dawn of Justice as ugly and that is because of its cinematography. It has an intentionally dirty, grimy look to it. The ugliness of the film is enhanced because the action in the film came across as mean spirited and overly violent. There is nothing fun about Batman vs. Superman: Dawn of Justice and that is a shame and a sharp contrast to many of the Marvel pictures, even its most recent, the extremely violent Deadpool. The film’s editing is also a mess. There are elaborate and expensive dream sequences that serve no purpose other than to set up for its sequel. The movie is also way too long and boy does it feel long. 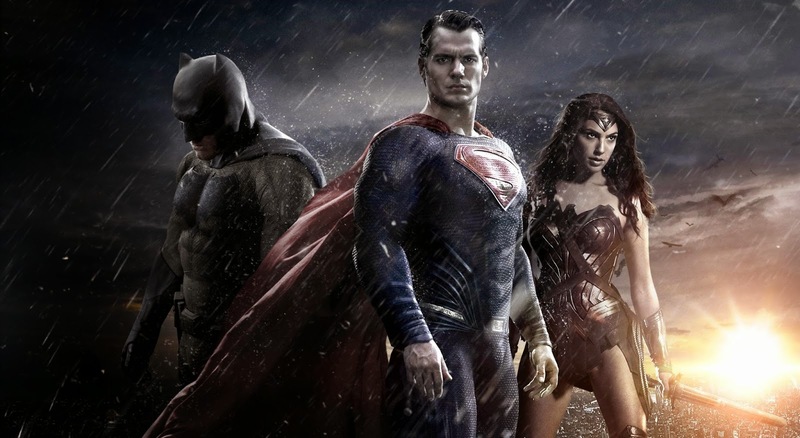 Batman vs. Superman: Dawn of Justice suffers from excess on all levels. A lot of the coolest images from the trailers were a mere one or two second shots in the actual film. Anyone that complained about Christian Bale’s voice in The Dark Knight movies will really hate Affleck’s voice which is unintentionally funny and distracting. Also, his costume when he finally fights Superman makes him look more like Lego-Batman and comes across as silly in an otherwise overly serious and joyless movie. This movie exposes the biggest problem with the direction of the DC Universe and why it was doomed from the start, and that is its choice of director in Zack Snyder. His unhealthy obsession with violence worked well in Watchmen (2009) but completely misses the point with how he depicts Batman and even more so with Superman. This film might have actually worked better if it were allowed to have an R rating. It would have fit with the dismal mood and would have given Snyder the opportunity to go all out as he did in most of his previous films. Also minor spoiler but this was in the trailers… can anybody tell me why Wayne Manor was in ruins? That was never explained. I suppose we have to wait for the sequel and something that bothered me even more than the illogical decisions some of the characters made, why are Metropolis and Gotham City conveniently always empty when all of this violence and destruction is going on? Seriously, they are the emptiest big cities I have ever seen. Chernobyl might have more people than this. I guess that was so they could make an excuse for the violence and destruction on screen. Shame on everyone involved in this travesty of a movie. The single star for this review was earned by Jeremy Irons, the way the opening and closing shots coincided and there was one moment, an explosion, that did genuinely surprise me. Plus, Joe Morton has a cameo that recalls his role as Miles Dyson in Terminator 2 (1991). Other than that, Batman vs. Superman: Dawn of Justice is overpriced, convoluted and offensive trash. This is the type of big budget blockbuster that should be reviled and avoided. Rather than embed the trailer which was more of a bad highlight reel than a preview for a movie since it showed way too much, check out this hilarious video of Ben Affleck’s reaction to the films negative reviews.